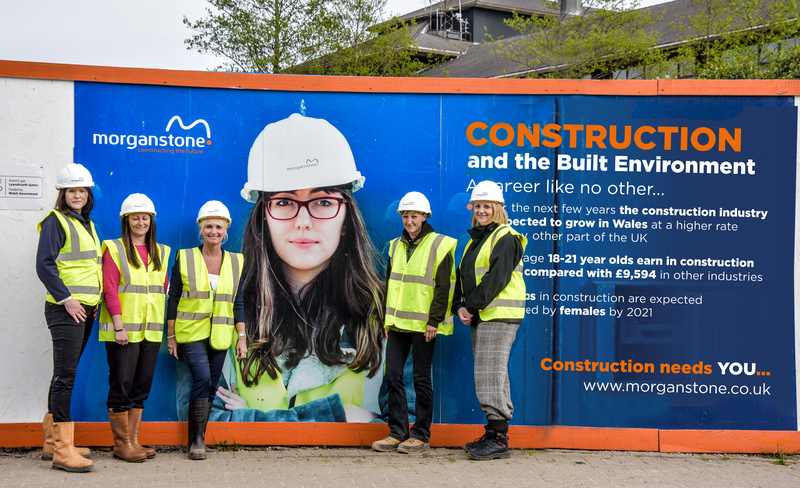 Recognising the industry’s acute shortage of young women taking up careers in the industry, Morganstone joined forces with fellow homebuilding companies to host a Careers Showcase, attracting over 200 female pupils. Scheme multi award-winner, Morganstone and Westacres teamed up with Pennant Homes and Coastal Housing to organise a successful careers event for female students from the Neath Port Talbot and Swansea areas of South Wales. Presented in collaboration with Careers Wales, the Women in Construction and the Built Environment event was held at the end of April at the Academy of Sport, Llandarcy, Neath Port Talbot. Visiting pupils were informed about the various career opportunities available in construction and the built environment, including the traditional trades and more technical disciplines, both of which have a large shortfall of women workers. Watch Morganstone’s video showing the Careers Showcase unfold. As an added incentive, presentations from inspirational women in various professions took place during the day, giving the pupils a unique opportunity to hear the success stories of women in construction, first hand. The event also had the support of several industry bodies including Careers Wales, the Construction Industry Training Board (CITB), Cyfle and the Royal Institute of Chartered Surveyors (RICS). NPTC Group of Colleges, a leading educational organisation in the area, also played an important part in bringing their expertise of further education and local courses to the event. Leading businesses attending from the South Wales area included Powell Dobson architects, Morgan LaRoche and DJM. The event reflected the Scheme’s encouragement of both women and female students to consider careers in construction through the Best Practice Hub’s ‘Spotlight on…women in construction’ and forthcoming ‘next generation’ campaigns. Three of Morganstone female workers feature in the Hub’s ‘Spotlight on…Women in Construction’ campaign and you can read their inspiring stories by clicking here. An apprenticeship with Redrow Homes Limited puts painter and decorator Bailey’s career in the pink!